As you may have seen, President Trump recently announced the winners of his hilariously named “Fake News Awards,” highlighting the worst of the worst in mainstream media reporting on news that didn’t actually happen – and thus wasn’t actual news. It was a real crack-up that drew attention to the utter failure of many so-called news outlets to keep the people informed on what’s really happening in the world for real – and not just what they wish was happening in their coddled, “snowflake” fantasy reality. 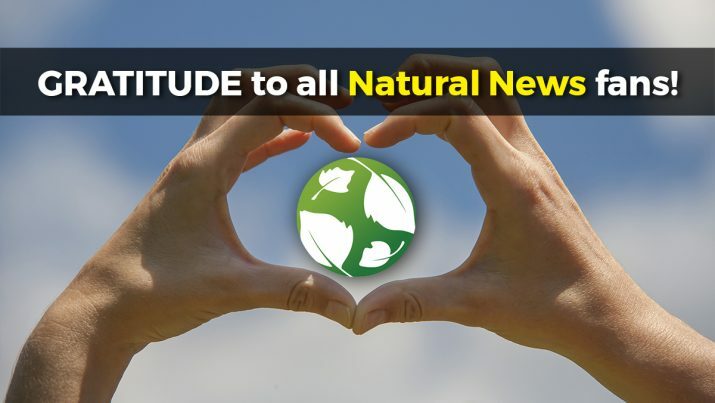 Natural News has been a key player in helping to bring real news to the table when most everyone else was stuck in a mindless obsession with the fake stuff. Much of the groundbreaking news we’ve reported on here over the years has since made its way into the mainstream – but only after the bravery of independent journalists first put these issues on the radar, forcing the hand of the antiquated “dinosaur” media to either get caught up or else face ever-shrinking readership and support. Many mainstream news outlets have struggled to come up with an explanation for why so many people in the West are developing chronic disease these days. Natural News was among the first to highlight the dangers of so-called “trans fats,” which are artificially shelf-stable industrial oil substances commonly added to processed foods. Most Americans have been led to believe that type-2 diabetes is a permanent health condition that can’t be cured, and that can only be managed through regular insulin injections. But Mike Adams, the Health Ranger, serves as living proof that type-2 diabetes can be reversed. He revealed his secrets almost a decade ago to the Natural News readership, explaining how making comprehensive dietary and lifestyle changes is the key to overcoming the scourge of type-2 diabetes. The mainstream media’s dereliction of duty in covering the dangerous chemicals found in many municipal water supplies across the country has done a great disservice to the public at large. But Natural News made great contributions to sounding the alarm about the need for more comprehensive solutions to water purification, particularly with regards to toxic heavy metals. Data analyzed by Mike Adams as part of his in-depth laboratory research endeavors found that at least 239 municipal water supplies in America are contaminated with these poisons, which aren’t effectively removed by existing purification techniques. The official government position on the matter contends that the only substances capable of healing disease and promoting health are pharmaceutical drugs – a highly flawed narrative that the mainstream media has long perpetuated as a matter of politics (and perhaps laziness). It wasn’t until Natural News came along and helped to set the record straight that the corporate media finally began to listen. One particular area of research we’ve devoted much work towards over the years is anti-cancer healing foods. Science has shown time and time again that many foods contain natural anti-cancer compounds that, when combined with a healthy lifestyle, can help protect against this deadly disease. It’s not politically-correct to say this, of course – but when has Natural News ever been concerned with abiding by the doctrines of leftist censorship? One of the things that the corporate media isn’t allowed to talk about are any potential dangers associated with vaccination. The “holy grail” of Western medicine, vaccines are untouchable in the eyes of the establishment, which continues to go to great lengths to keep a lid on the truth about how these chemical-laden injections are a major threat to human health – and particularly the health of humanity’s most vulnerable. When nobody else was willing to tell the inconvenient truth, Natural News was there to cover this important issue. We were among the first, you may recall, to blow the lid on the link between vaccines and spontaneous abortion – a finding that was actually brought to light by the U.S. Centers for Disease Control and Prevention (CDC) as part of a medical study that was published in the journal Vaccine. In today’s go-go-go society, millions of Americans are suffering from a hidden epidemic of sleep deprivation that’s severely and negatively impacting their health. Most of the media has remained silent about this, more than likely doing its part to spread support for its corporate sponsors (a.k.a. Big Pharma) by keeping people in the dark about this key link to chronic disease. But not Natural News. We helped bring to light the importance of getting proper rest for maintaining a healthy immune system. Getting at least eight hours of quality sleep per night – which many of the same mainstream media outlets who previously ignored the issue now admit –is a critical component of maintaining high energy levels, proper hormone balance, and resiliency to infection and disease. This is a big one, as millions of Americans rely on what they believe to be olive oil for daily health. Natural News was among the first to break the new about the “fake olive oil” scandal, spreading far and wide a damning report published by the University of California, Davis (UCD) revealing how many major olive oil brands are cutting their products with canola and other cheap oils. The truth that Natural News helped to instill within the consciousness of the public is the fact that very few olive oil products on the market today pass the muster when it comes to purity and integrity – a disturbing narrative that was eventually picked up by the mainstream media after the issue went viral through other mediums.